1 1,1: Expected an assignment or function call and instead saw an expression. 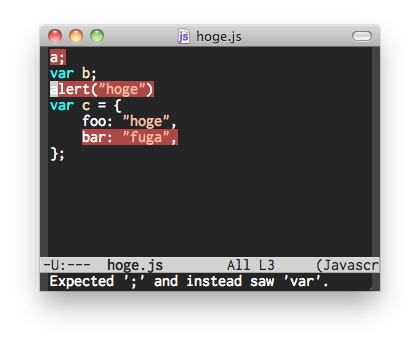 2 3,14: Expected ';' and instead saw 'var'. (cons '("^ *[[:digit:]] \\([[:digit:]]+\\),\\([[:digit:]]+\\)\: \\(.+\\)$"